As Bond undergoes a post-mission medical examination, he relays the story of his previous mission to the examiner. Each cut, bruise, and broken bone connected to a specific event of the mission. A connection is made between two people with different purposes: one to save lives, the other to take them. 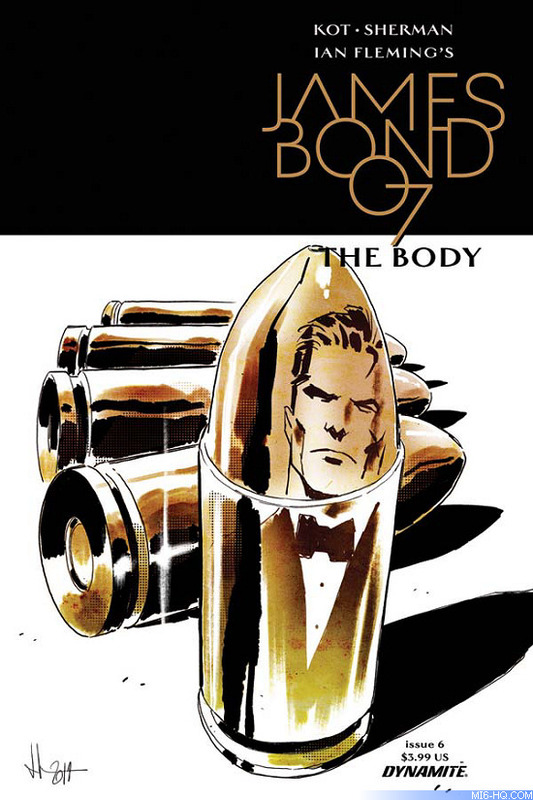 From writer Ales Kot (Secret Avengers, Zero) and artist Luca Casalanguida comes a James Bond story that explores the secret agent in ways that we have yet to experience! 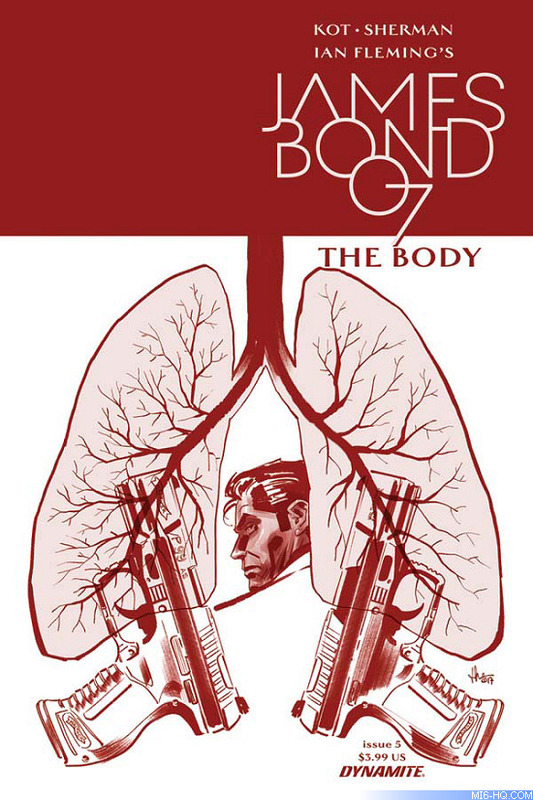 The first issue of the six-part 'James Bond: The Body' series was published on January 17th, 2018. The sixth and final part will be released on June 20th, 2018. Click here for a preview of the first three issues. 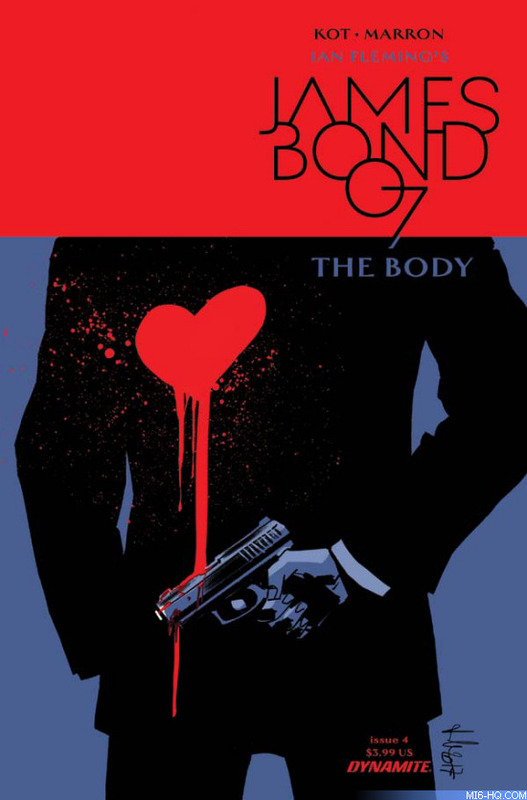 On the run from a lethal antagonist, weaponless and wounded deep in the Highlands, Bond finds solace with a woman who exchanged her job as a doctor and a life in the city for a cottage and solitary life of a writer. Can Bond find a quiet peace unlike he has known before or will his life choices catch up with him? A pub. A meeting between old friends. But is it just what it seems? All threads of The Body converge, and Bond has to face the consequence of his actions.